The Ghostbusters' New York City headquarters sits at 14 North Moore Street on the corner of Varick Street in TriBeCa. 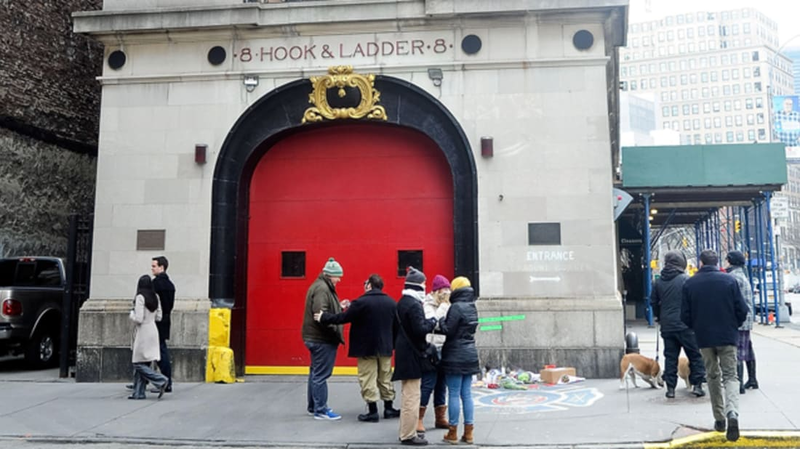 It's actually the home of Hook & Ladder Company #8, a fully working and operational New York Fire Department firehouse. Though the exterior of Ghostbusters HQ was in New York City, its interiors were filmed at another firehouse in Los Angeles, which is located at 225 E. 5th Street. Fire Station #23 was decommissioned in 1960 and the Los Angeles Cultural Heritage Commission declared it a Historic Cultural Monument. Die Hard's Nakatomi Plaza is located at 2121 Avenue of the Stars, which is actually Fox Plaza, the corporate headquarters for Twentieth Century Fox in Los Angeles, California. A majority of Die Hard was filmed there, despite the building being under construction at the time of shooting. 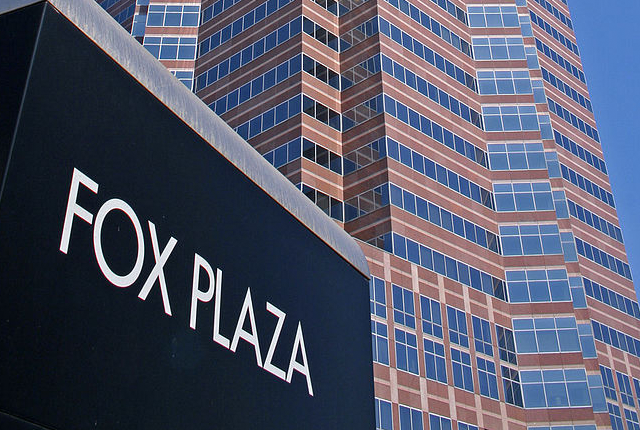 Fox Plaza is also featured in Speed, Airheads, and Fight Club. All four movies were released by Twentieth Century Fox. 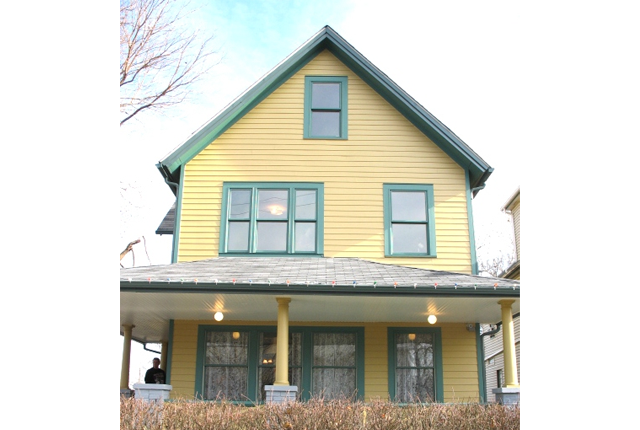 While A Christmas Story is based in Indiana, the exterior house shots were filmed on location in Cleveland, Ohio. The Parkers' home is located at 3159 W. 11th Street in the Tremont neighborhood. After purchasing the house, Brian Jones set about renovating the house—including the interior, which the production shot on a soundstage in Toronto—into an exact replica of the Parkers’ house in the film. It's open to the public and serves as a museum that is full of props and movie memorabilia. There's even an "official" Chinese food restaurant located a few blocks away from A Christmas Story House and Museum, but it's not the same location featured in the holiday film. Although the original RoboCop took place in Detroit, Michigan, future downtown Detroit was an amalgam of Pittsburgh and Dallas. 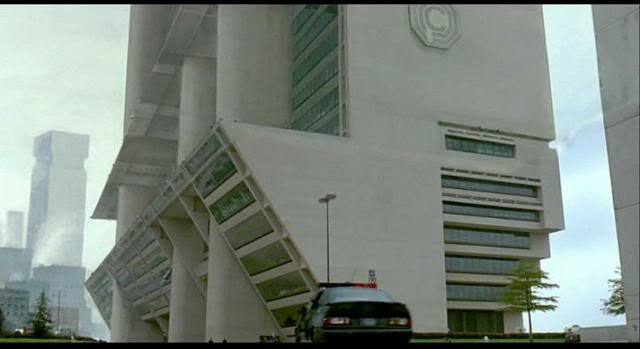 In fact, OCP corporate headquarters was actually Dallas City Hall; the production used matte paintings to make the building appear taller. 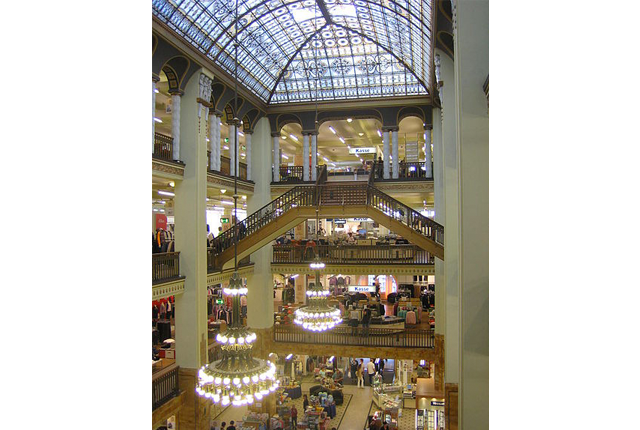 The department store Görlitzer Warenhaus (de) was used for the atrium lobby of the titular Grand Budapest Hotel. The store was scheduled for demolition, but the production saved it. “The columns, the staircases, that really magnificent window and that huge chandelier, that was already there, that’s all original,” production designer Adam Stockhausen told The Hollywood Reporter. “We built everything else.” Currently, the department store is under renovation and will re-open in early 2016. 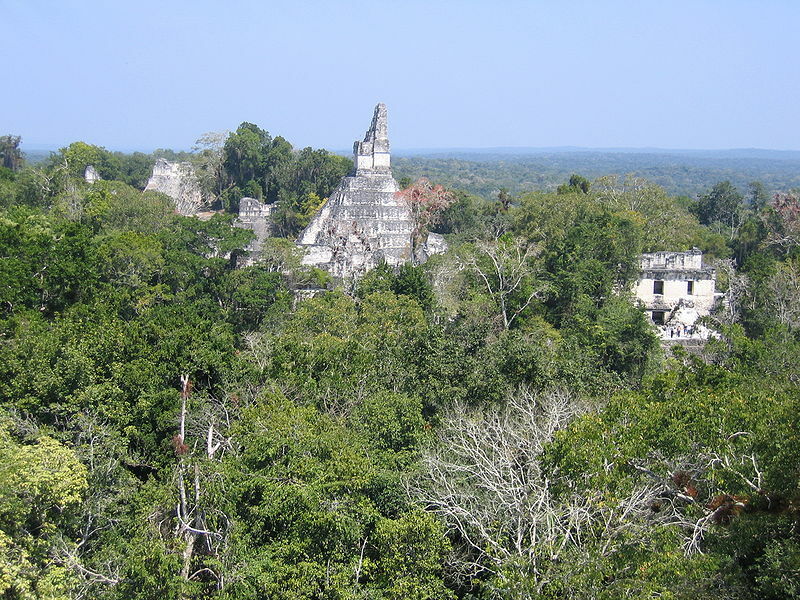 The Massassi Outpost rebel base on the fourth moon of Yavin in the original Star Wars film was shot on location at the Mayan temple ruins in The Tikal National Park in Guatemala. Director George Lucas picked the location after he saw a poster at a travel agency while shooting in London, England. 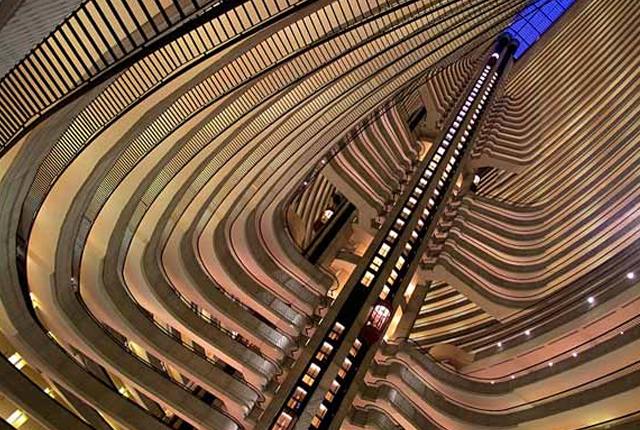 The Marriott Marquis Hotel at 265 Peachtree Center Avenue NE in Atlanta, Georgia is where you'll find the posh Tributes' Quarters and Training Center from The Hunger Games: Catching Fire. The hotel was chosen for its gigantic atrium—at one time the largest in the world—and beautiful glass elevators. The Tributes' living quarters were filmed on the 10th floor and a set was built on the hotel's roof. At the beginning of 127 Hours, Aron Ralston (James Franco) meets two hikers (Kate Mara and Amber Tamblyn); the trio dives into a subterranean pool with a 55-foot drop. 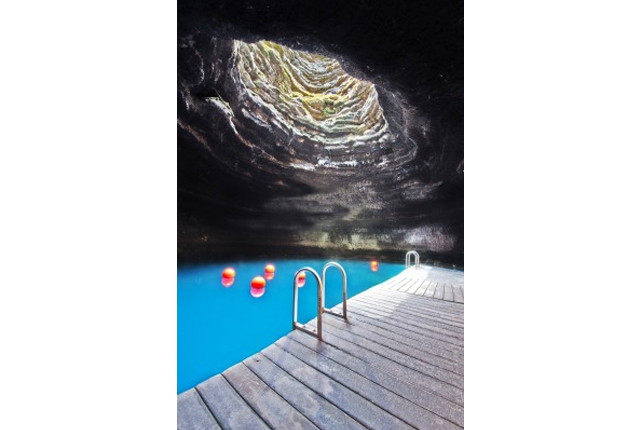 The pool is actually a natural hot spring located at the Homestead Resort in Midway, Utah. But you can't recreate the scene: The resort won't let you dive into the hot spring like the actors did in the movie for safety reasons. While the Overlook Hotel in Stanley Kubrick's The Shining was an elaborate set on a sound stage at EMI Elstree Studios in England (the largest set ever built at the studio), the fictional hotel is based on two real hotels in the United States. The Ahwahnee Hotel in Yosemite National Park, California was the inspiration for the interior of the Overlook, while Timberline Lodge on Mount Hood in Oregon was used for its exterior and establishing shots. The Stanley Hotel in Estes Park, Colorado was the original inspiration for the Overlook Hotel in the novel The Shining. 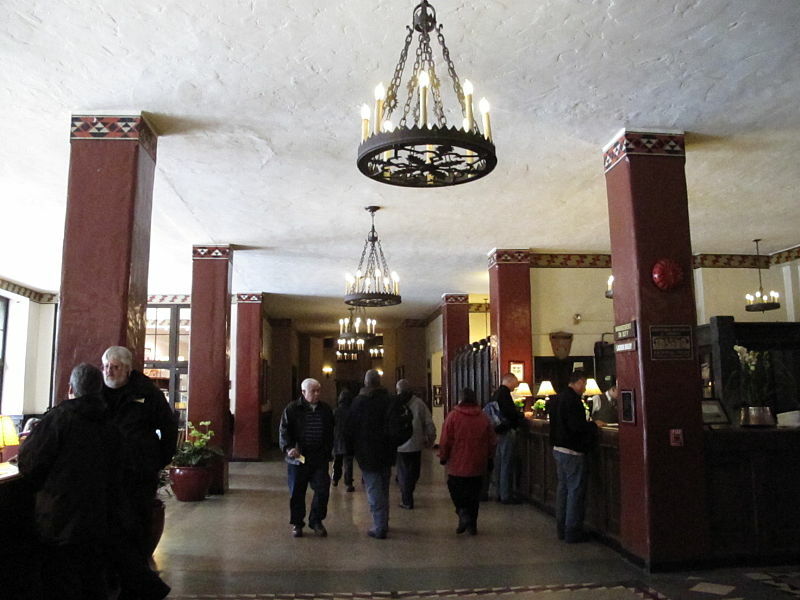 Author Stephen King was disappointed that Kubrick didn't shoot at The Stanley, but the made-for-TV version of The Shining was filmed at the Colorado hotel in 1997 instead. The Stanley also appeared in Dumb and Dumber in 1994. 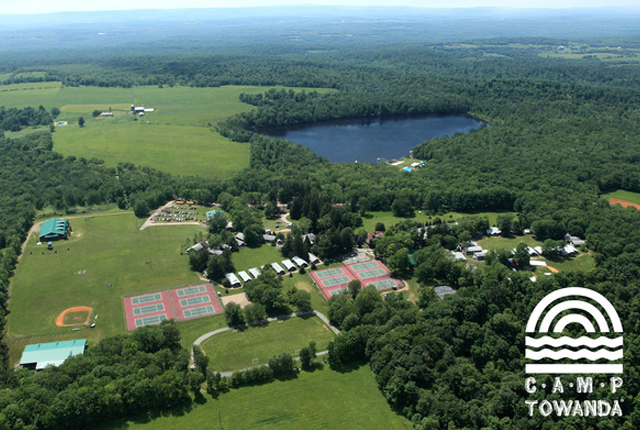 Wet Hot American Summer was shot at Camp Towanda, a sleepaway summer camp in Honesdale, Pennsylvania. Though the movie takes place during the summer, it was actually filmed during the spring before new campers arrived for the season. Unlike what the title suggests, it was actually very cold and rainy throughout the 28-day shoot. The producers told the owners that Wet Hot American Summer was a family comedy, so they could get clearance from Camp Towanda to shoot there. After the camp owner's watched it, they were appalled by the movie. 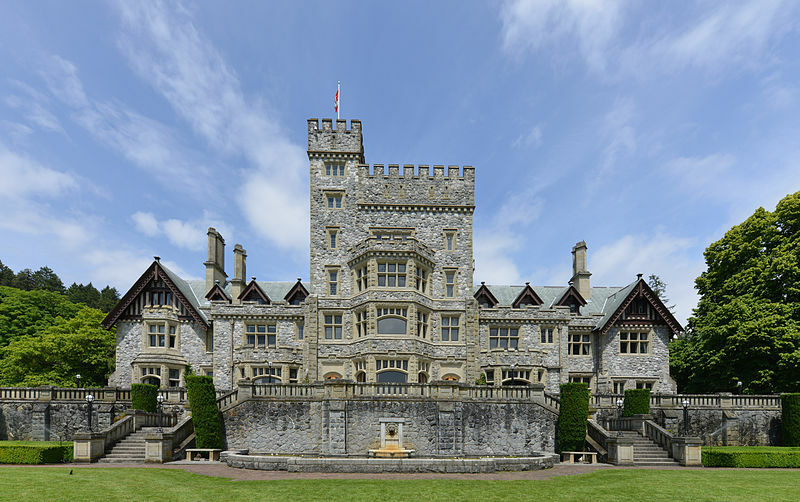 Hatley Castle, located in British Columbia, Canada, was used as the exterior for Xavier's School for Gifted Youngsters in the X-Men movies. It first appeared in Generation X, a made-for-TV movie in 1996, but later it found its way into X-Men, X2: X-Men United, and X-Men: The Last Stand throughout the 2000s. Twentieth Century Fox also used Casa Loma in Toronto and Parkwood Estate in Oshawa, Ontario for exteriors, while movie sets on a soundstage in Los Angeles were used to shoot interiors. 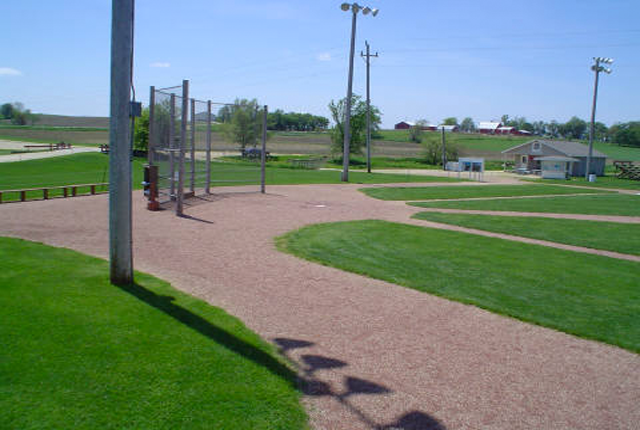 Universal Studios built the field of Field of Dreams in Dubuque County, Iowa, near the city of Dyersville, straddling the land of two farmers. After filming completed in 1988, the field was left behind for the landowners: the Lansing family, who owned the house, the infield, and right field; and the Ameskamp family, who maintained left and center. At first, there were two driveways, two gift shops, and two parking lots, and equipment purchased from left field couldn’t be used on the right. But in 2007, the Ameskamps sold their part of the baseball diamond to the Lansings. Currently, Go the Distance Baseball, LLC owns the 193 acres where the film was shot; there are plans to develop a new $74 million complex called Baseball Heaven. While Groundhog Day takes place Punxsutawney, Pennsylvania, it was almost entirely filmed in Woodstock, Illinois, a suburb of Chicago. 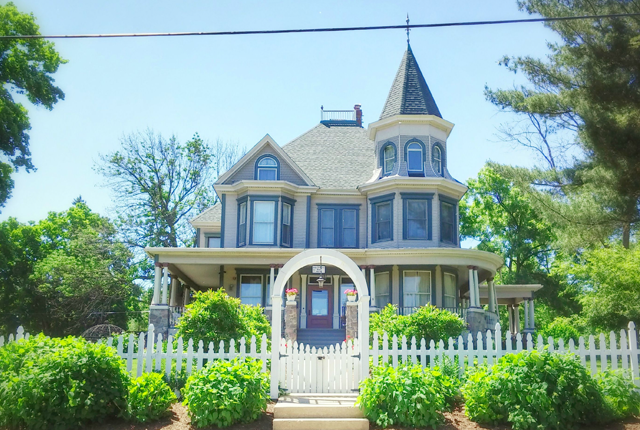 The cozy bed and breakfast where Bill Murray's Phil Connors stays is Royal Victorian Manor, located at 344 Fremont Street. Woodstock also hosts an annual Groundhog Day, where fans can experience the movie with special events around the town—including a two-night stay at the Royal Victorian Manor. Top Notch, located at 7525 Burnet Road in Austin, Texas, served as one of the teen hangouts in Dazed & Confused: It's where David Wooderson, played by Matthew McConaughey, first got the word out about the party at the Moontower (no longer a functioning site) at the film's climax. 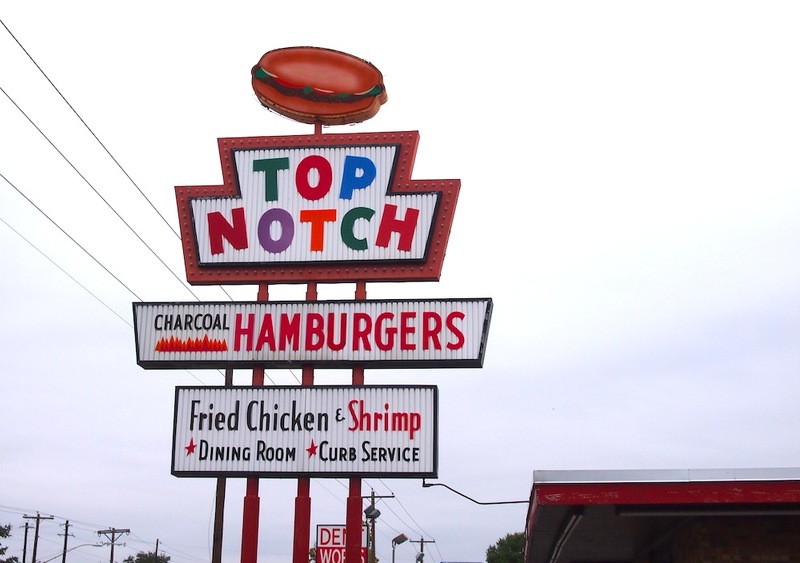 You can still grab a burger at the Top Notch today. Hogwarts School of Witchcraft and Wizardry in the Harry Potter film series is actually a few locations around England: Christ Church College and Cathedral in Oxford was used for its 16th-century stone staircase, and the design of its dining hall inspired Hogwarts' Great Hall; Gloucester Cathedral was used for the school's hallways in the first two films; Lacock Abbey near Chippenham in Wiltshire was used for a number of Hogwarts’ classrooms; and Bodleian Library of Oxford University, Fourth Form Room of Harrow Old Schools in Greater London, and Alnwick Castle in Northumberland were all locations used to bring Hogwarts alive on the big screen. 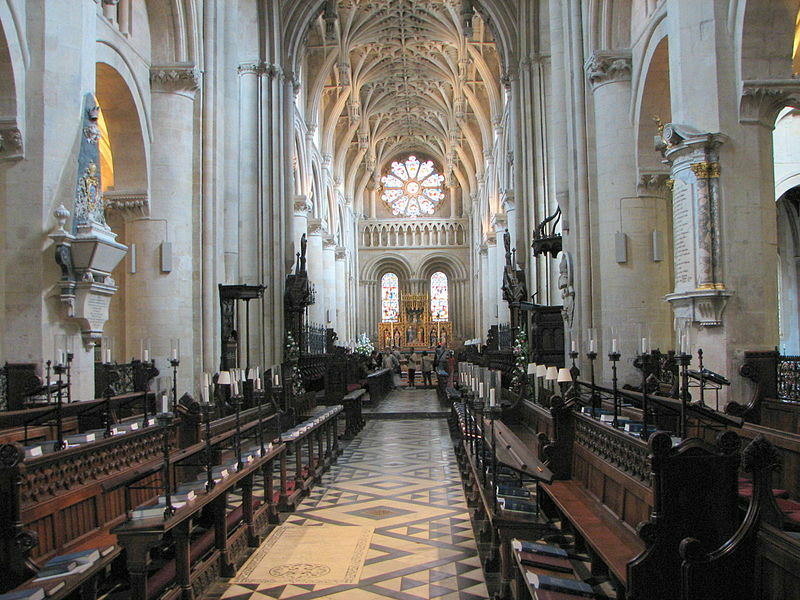 A majority of Christ Church College and Durham Cathedral's architecture inspired the design of the numerous Hogwarts movie sets at Leavesden Studios in Hertfordshire, England.